It is very important to properly groom your child's nails to help prevent tearing and accidental scratching. 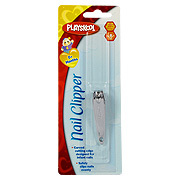 This baby Nail Clipper features a smaller size cutting edge that is just right for your baby. The easiest time to cut baby's nails is after a bath or when baby is sleeping. 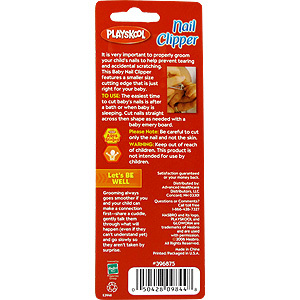 Cut nails straight across the shape as needed with a baby emery board. Please Note: Be careful to cut only the nail and not the skin. 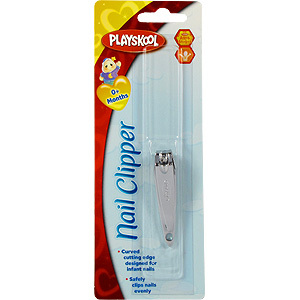 Baby Nail Clipper is shipped in a discrete, unmarked package. Orders are processed immediately and usually take about 3 to 5 working days to be received. We do ask that you try it for 2 to 3 weeks to feel the full effects. Any information received is used only for order processing and shipping purposes. Your information, such as e-mail address, will never be disclosed to a third party.